Since October of 2008, Chicago Bears punt return specialist and wide receiver Devin Hester has been a resident of Riverwoods, Illinois. Devin Hester paid $2.2 million for the home pictured below. Built in 2005, the two-story brick home was built in 2005 and has six bedrooms, eight bathrooms, 7,917 total square feet, and a tennis court. 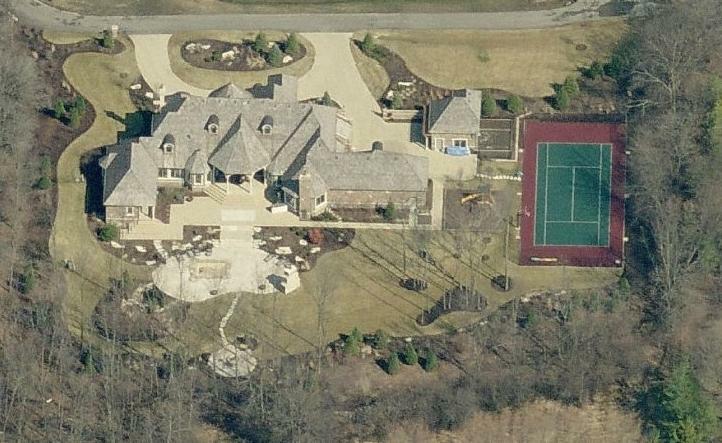 Devin Hester's house in Riverwoods, Illinois. Devin Hester was born in Riviera Beach, Florida. Prior to making his NFL debut with the Bears in 2006, Devin Hester played college football for the University of Miami Hurricanes where he excelled at both offense and defense. Devin Hester is married to Zingha Walcott. The couple wed in July of 2010 in Miami, Florida.